Tumbled and polished Red Aventurine healing gemstones. Good size for holding in hand as a comforter, carrying in pouch or using in healing stone circles. Red Aventurine increases our feeling of personal power and stimulates and strengthens ones individuality. Size: at least 1 ", some larger. I also carry Aventurine in the Green and Blue varieties. Encourages playful sexuality or the conception of a child or new creative endeavors. Sustains the creativity from its concept to completion of the project, or from conception to birth of a child. Promotes a gentle creative process and inspires new ideas. Red (sometimes called peach) Aventurine has a trigonal crystal system and is in the mineral class of oxide, the Quartz group. It is characterized by its translucence and the small platelets of inclusions that give it a shimmering or glistening effect which is known as 'aventurescence'. These deep peach to red varieties are found in Chile, Spain and Russia. Red Aventurine's peachy, to almost brown sometimes, coloring is attributed to hematite or goethite that was added to the mix during it's formation period. To newbies in the gem world, this one is sometimes confused with Sunstone. Once you sit them side by side though you can see how different they really are. Red Aventurine may be worn for long periods of time as a pendant or used as a hand comforter in its tumbled form. In physical maladies it may be laid directly on the problem area for best effects. 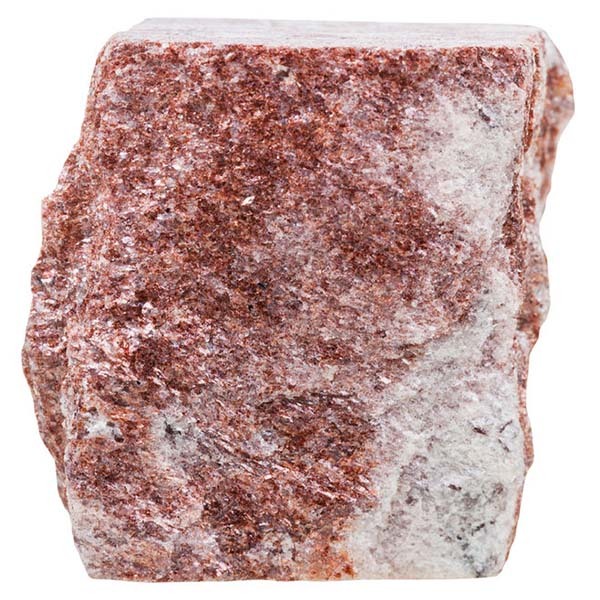 Red Aventurine will enhance relaxation and provide the ability to experience pleasure and a relaxed approach to change. Red Aventurine can bring about an abundance of new ideas and enthusiasm. At the same time, it also allows us to take others suggestions, in an accepting manner, and then incorporate those new ideas into expanded thinking, further enhancing and stimulating the creative process. Red Aventurine has many of the same beneficial effects as the green. Additionally, it has been found to be effective in easing lower back pain and correcting urinary problems or disorders of the reproductive system. Red Aventurine has a special affinity with Aries but is beneficial to all signs. It's Planet is Mercury, its Element is Fire and its Energy is Projective. Red Aventurine received its name somewhere during the seventeenth century. It comes from the Italian 'a ventura' which means randomly . This is in reference to its deposited mica or other included platelets. Red, along with Green, has been used in Native American medicine wheel rituals. It is said to show the spirit guides the connection to the healing light of the heart. It has been reported that when contact with the spirit guides has been made a feeling of love has fallen or washed around those holding these gems. 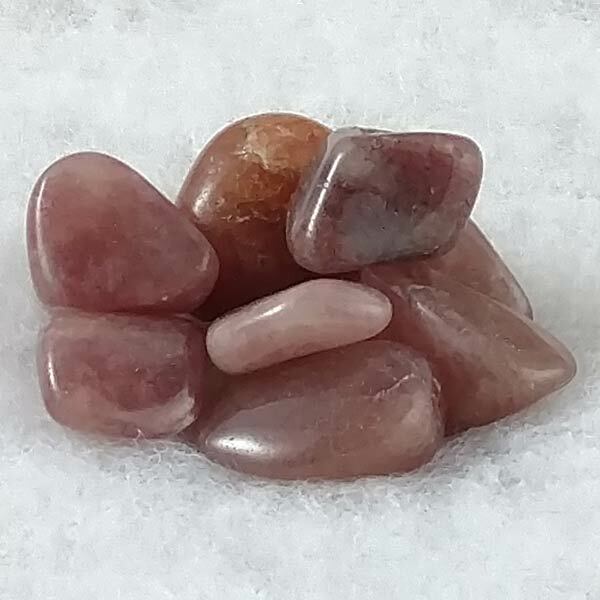 Red Aventurine is also commonly used in prosperity bags or 'luck' spells with the Green variety to assist in manifesting those requests quicker.